Three years after the last Chromecast refresh, Google has quietly taken the wraps off a new update to its hugely popular media streamer. 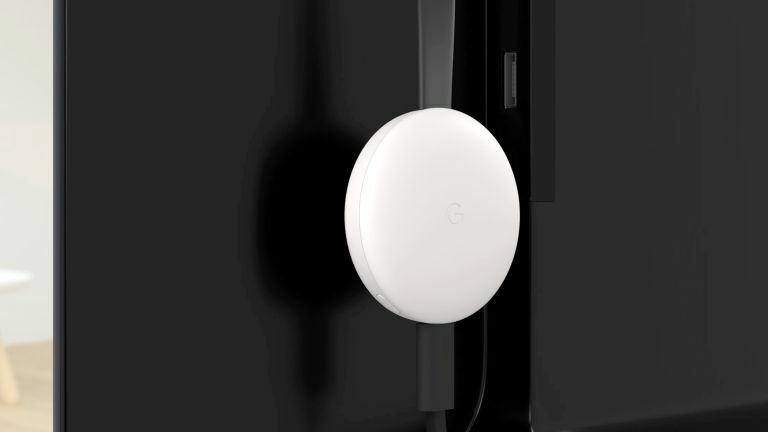 The third-generation Chromecast appeared in the Google Store alongside the Pixel 3, Pixel 3 XL, Pixel Slate and Home Hub devices announced at the latest Made By Google hardware event. If you're wondering why Google didn't spend any time talking about the Chromecast on-stage during its announcement, it's probably because, well, there's not much to talk about. The all-new Google Chromecast has the same rounded, hockey puck-esque shape introduced with the second-generation version of the media streamer. However, Google has swapped the Chrome logo for a "G" this time around. There's also a matte white finish – a first for the gadget. Google says the new Chromecast is about 15% faster, which is enough to add support for 1080p video streams at 60fps, instead of just 720p like the 2015 model. And that's pretty much it. No, seriously. You won't find support for 4K Ultra HD streaming, no Android TV interface built-in, and no remote à la Amazon Fire TV Stick. Controlling playback on the Chromecast is still handled with a smartphone, tablet, or browser tab inside the Google Chrome desktop app. The new media streamer does support Chromecast Audio Groups, which lets you bundle devices together to play music in-sync throughout the same room, or home. The feature, which requires all the compatible devices to be on the same Wi-Fi network, is very similar to similar features seen on Sonos products. Unfortunately, Chromecast Audio Groups isn't available on the new Chromecast at launch and will be added to the device via a software update sometime next year. Google was rumoured to be bringing faster Wi-Fi capabilities to the new Chromecast, but that doesn't appear to have come to fruition. Chromecast 3 is available to buy today in Chalk and Charcoal colours for £30. For those who want to stream in 4K, Google is keeping around 2016's Chromecast Ultra, which will still set you back £69.